Around the Common: Trailblazers in Bridgewater this Saturday, 12/14! You are invited to join the Wildlands Trailblazers this Saturday, December 14th! Lend a helping hand to a meaningful conservation project & have some fun! Details: In the morning, we will be working on general trail clearing projects, conducting a trash patrol, marking trails, and installing trail signage . In the afternoon, we will work on identifying and marking the boundaries of the Great Neck Conservation Area and GPSing the trails and preserve features. From the West: Take Rt. 28 heading southeast on Main Street towards Central Square, Bridgewater, take slight right onto Rt. 104E (Central Square) and continue on 104E 1.7 miles before turning right onto Walnut Street and then right again onto Auburn Street. Parking is 1/2 mile down on the right. From the East: From Intersection of Routes 58 & 106 (Halifax) follow Rt. 106W turning left onto Rt. 105 South/Thompson Street. After 1.9 miles, turn right onto Summit St., slight right onto Walnut St., and 1st left onto Cherry St. Continue, taking right onto Short St., then left onto Auburn Street. Parking is 1/2 mile down on the right. Please meet at the Auburn Street parking area at 9:00 am. Coffee & donuts will be provided at the morning briefing. You are encouraged to pack your own lunch and to bring a reusable water bottle. There will be a lunch break at 12:00 pm at the parking lot area. Please come prepared wearing hiking boots, knee pads (if desired), long pants, and gloves (gloves will be available for those who don't have them). The Wildlands Trust Trailblazers program is designed to connect people who love the land to meaningful projects throughout our service area. With projects ranging from trail stabilization and erosion control to using GPS units to mark trails and preserve boundaries, the Trailblazers program offers an opportunity for everyone to contribute to the management of our shared natural resources. The morning shift will be a Project Work Day. Project work days can be physically demanding, requiring hiking into a project site and performing a variety of physical tasks. The afternoon shift will be a Venture Day. Venture days are based more on opportunities for education and are not as physically demanding. All Trailblazers events are open to the public. 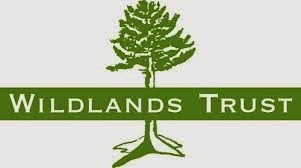 All required tools and equipment are provided by Wildlands Trust. All skill levels, abilities, and interests are encouraged and welcomed! No experience is necessary, but you are encouraged to read through the event description to ensure that you feel comfortable with the day's goals.